Large parts of rural India face power shortages and face problems in irrigating their crops. Farmers are forced to use diesel pumps with suboptimal results. Solar Water pumps offer a great green energy alternative to this problem. 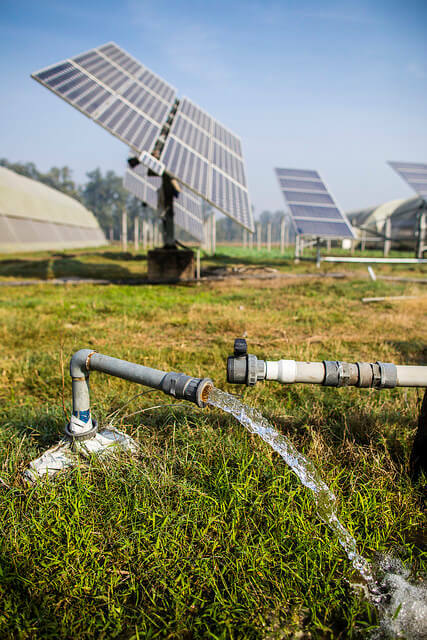 Solar Water Pumps use Solar Energy to pump water from nearby water resources like rivers, ponds and others. The system consists of Solar panels, an ac pump and the pump controller. The power to operate the pump is provided by high efficient Solar Panels that are mounted on a rugged structure. The panels convert sunlight to Direct Current(DC) that is provided to the controller. The controller converts Direct Current(DC) to Alternating Current(AC) usable power. The Alternating Current(AC) is used by the water pump to pump water from the nearby water bodies. The system is enabled to work with varying solar insolation levels, and provide water throughout the day and through different seasons. 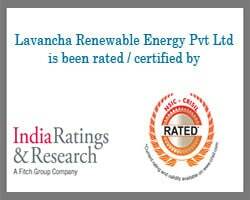 It uses MPPT technology to maximize the harvested energy from the Solar PV modules. You can avail either the surface or submersible solar pump(works underwater) to pump water from available water resources.